Your descendants might be as numerous as the stars in the sky, but your guest list is probably a little bit more manageable. 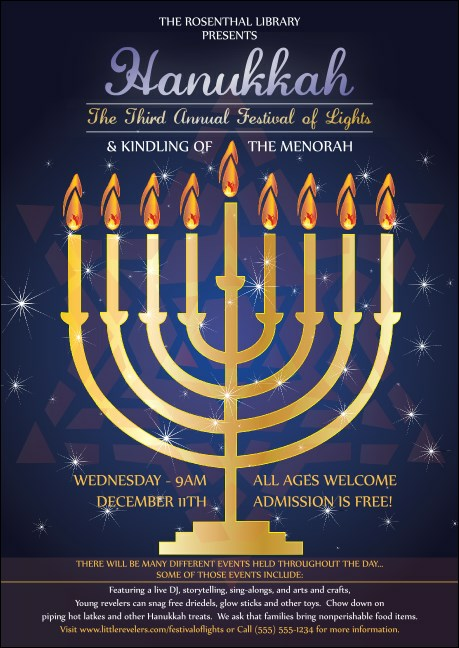 Get your message across by sending everyone the Hanukkah Menorah Club Flyer. It's a smart way to share your holiday greetings along with the details of your upcoming Festival of Lights celebration.